The number of opioid-related deaths in Florida increased 35 percent in 2016 according to a report released last week by the Florida Department of Law Enforcement. 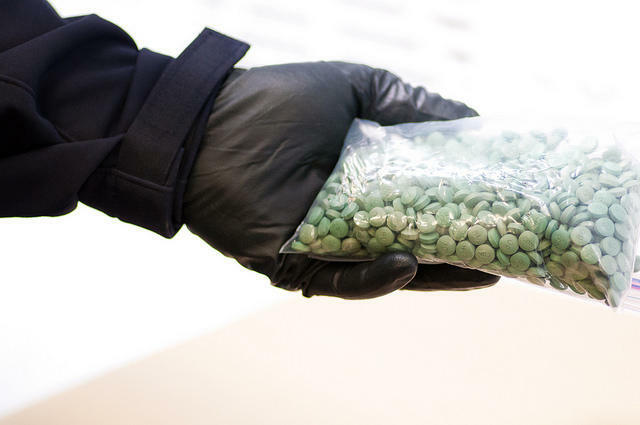 The report, based on data collected from medical examiners across the state, finds that overdose deaths caused by the power synthetic opioid fentanyl shot up 97 percent last year and that the presence of fentanyl in overdose victims increased 80 percent. We talk with Lee Health Emergency Department physician Dr. Aaron Wohl, Director of Residential Programs at SalusCare Steven Hill, and Chief Medical Examiner for Florida’s 12th Judicial Circuit Dr. Russell Vega. The opioid crisis in Florida is having broader impacts beyond recreational drug users themselves. Lee Health Neonatologist Dr. William Liu says that the number of drug-dependent babies born to addicted mothers has increased 1,200 percent in Lee County since 2005 and this past summer. The Florida Department of Health in Lee County reported that more than 1,200 children had been removed from their homes as well as more than 600 newborns in the five county area that the agency oversees over the past year, largely due to issues related to substance abuse. As the opioid crisis in Florida and around the nation intensifies, state lawmakers are looking to tackle the problem through a variety of proposed bills when they convene the 2018 legislative session in January. These bills include efforts to expand the use of Florida’s Prescription Drug Monitoring Database, to limit the supply of certain opioid drugs that doctors would be able prescribe to patients, as well as a proposal to launch a pilot program in Southwest Florida aimed at helping newborns suffering with neonatal abstinence syndrome. We’ll take a closer look at the these bills and hear from those working on the front lines of the opioid crisis here in Southwest Florida.